Let me start by saying, I have been entertaining for a very long time! Longer than many would think given I’m in my mid 30’s, but it’s because I’ve been entertaining since I was 16 years old! Way back when it was completely uncool and I should have been out doing teenagery things, I was setting tables with candles, flowers & napkins, fussing over delicately placed dill atop smoked salmon and cream cheese, and whipping up a lemon vodka risotto! I’ve always been a homebody and loved entertaining, but I have made many mistakes and had some stressful events in my 20 years since that first dinner party. 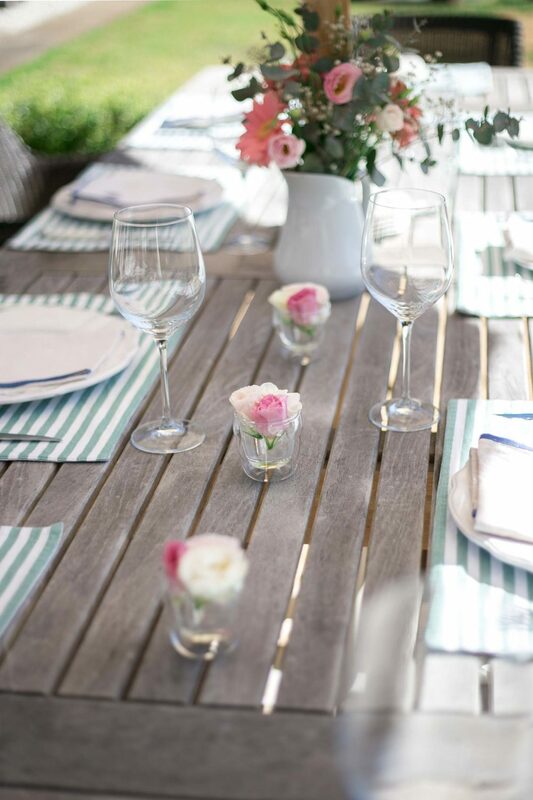 So, I’m sharing my top tips for stress free and easy entertaining that will help make your next brunch, lunch or dinner party a fun and relaxing event for guest and host!! 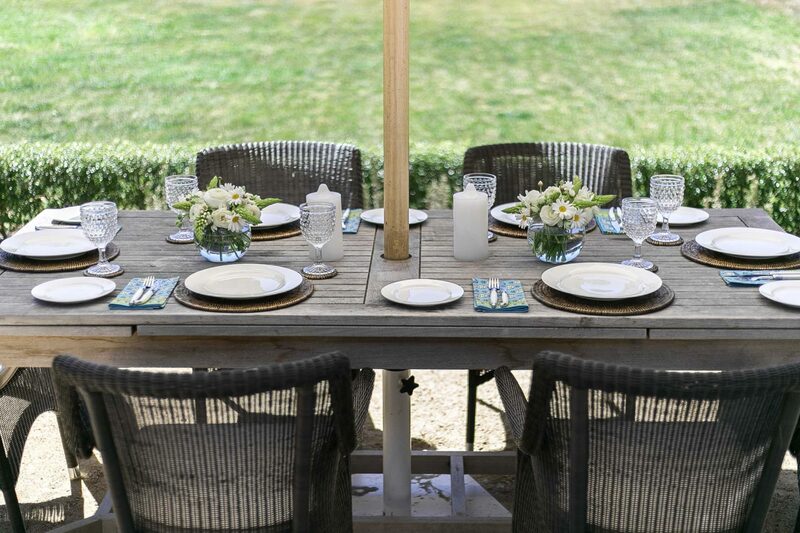 Create an inviting table setting. 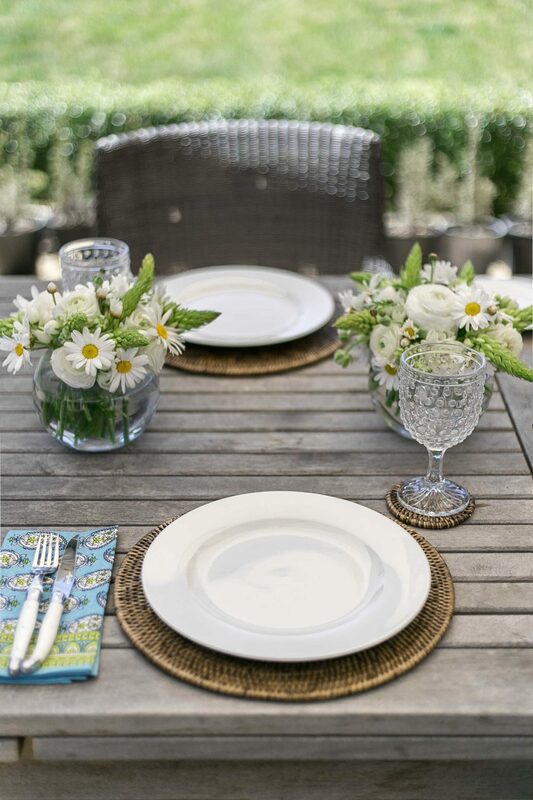 I always have flowers or foliage, placemats, cloth napkins, candles and nice cutlery. 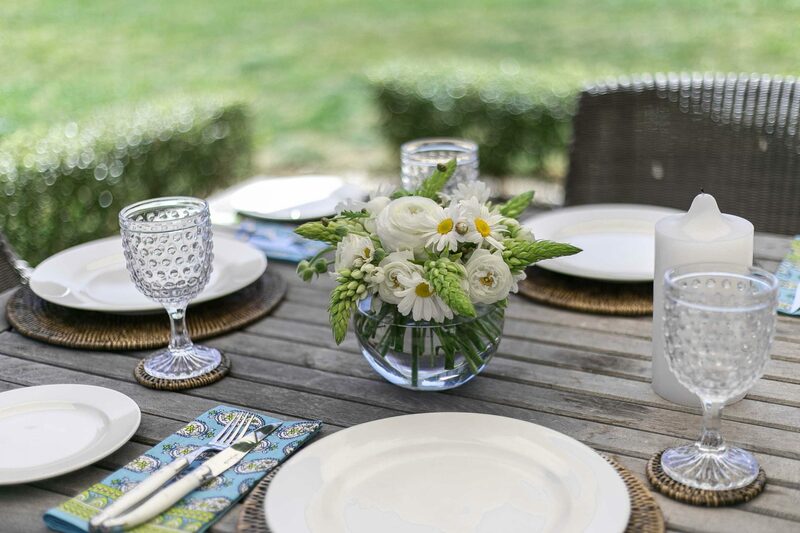 It doesn’t all have to expensive but always include a hero piece, or something a little bit fancy, to give your table setting that wow factor. 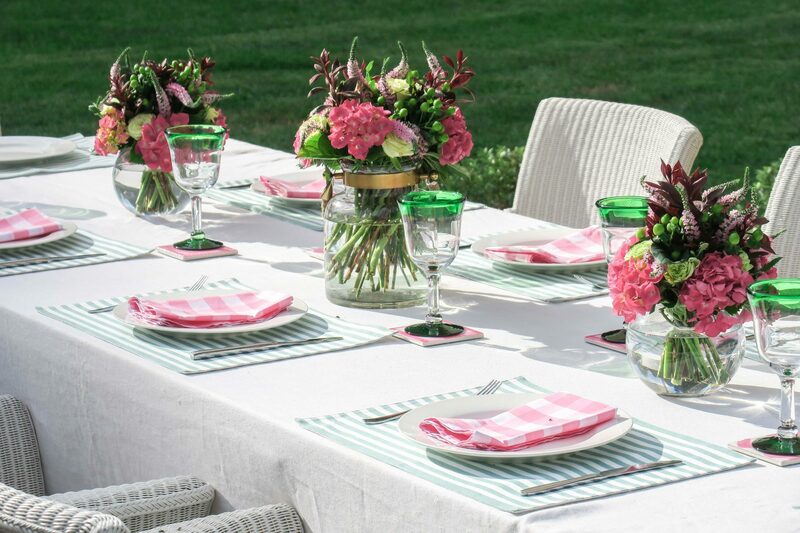 A stunning floral arrangement will elevate even the simplest of settings. 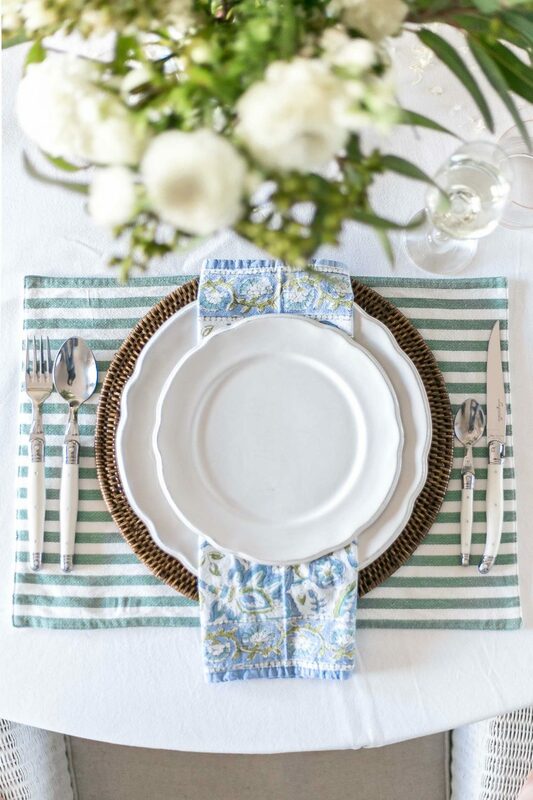 Likewise with beautiful linen napkins or fine cutlery. 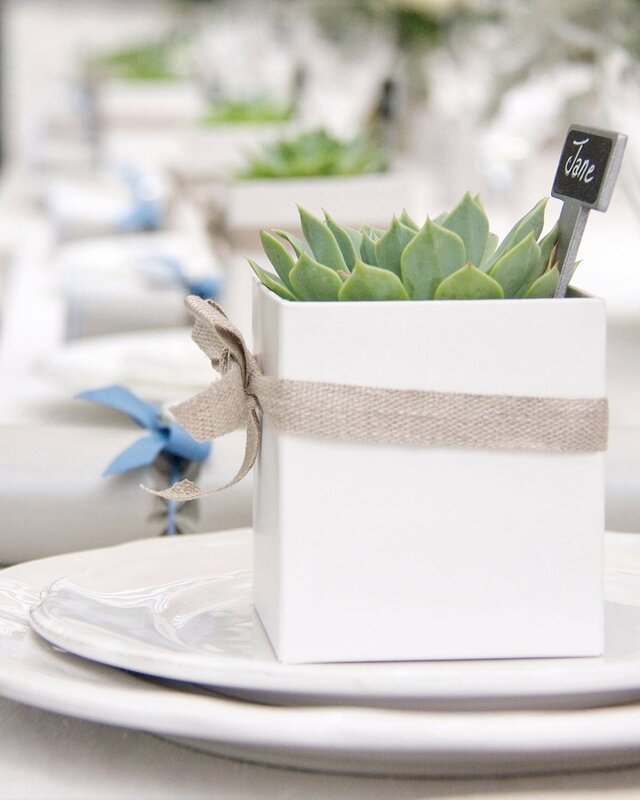 If you’re stuck for table decor ideas, Pinterest is a great source of inspiration! Set the table the night before, or morning of, the party. The night before is ideal as it’s one big thing ticked off the “to-do” list and doing it early gives you time to just focus on the food and drinks and you won’t feel so rushed. 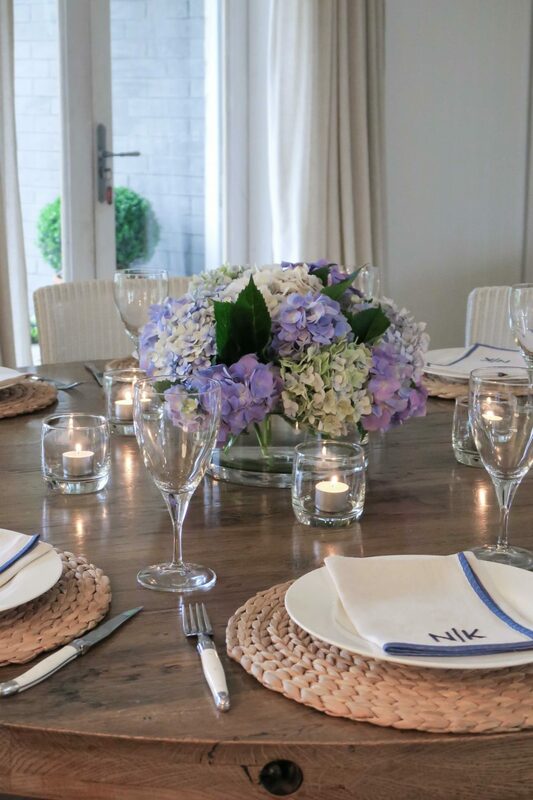 Even if your food isn’t prepared (god forbid) when your guests arrive, it’s always lovely to see a beautifully set table on arrival. 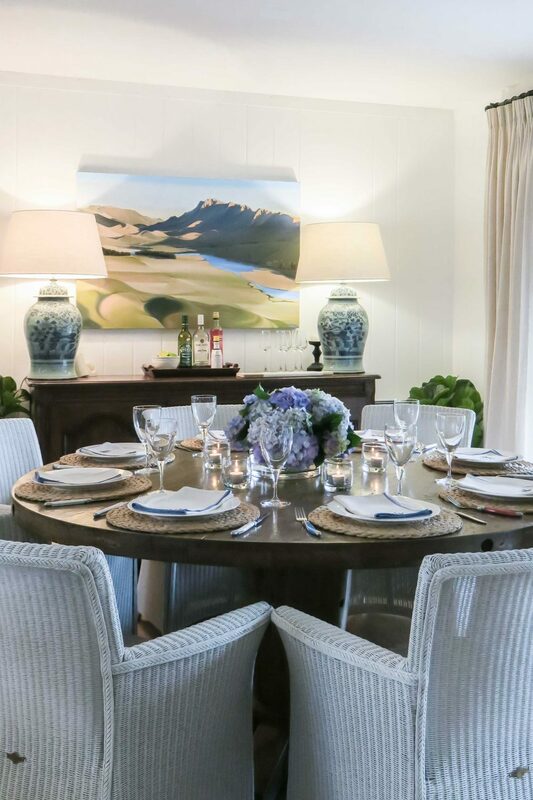 If it’s an intimate dinner, keep your flower arrangements low. 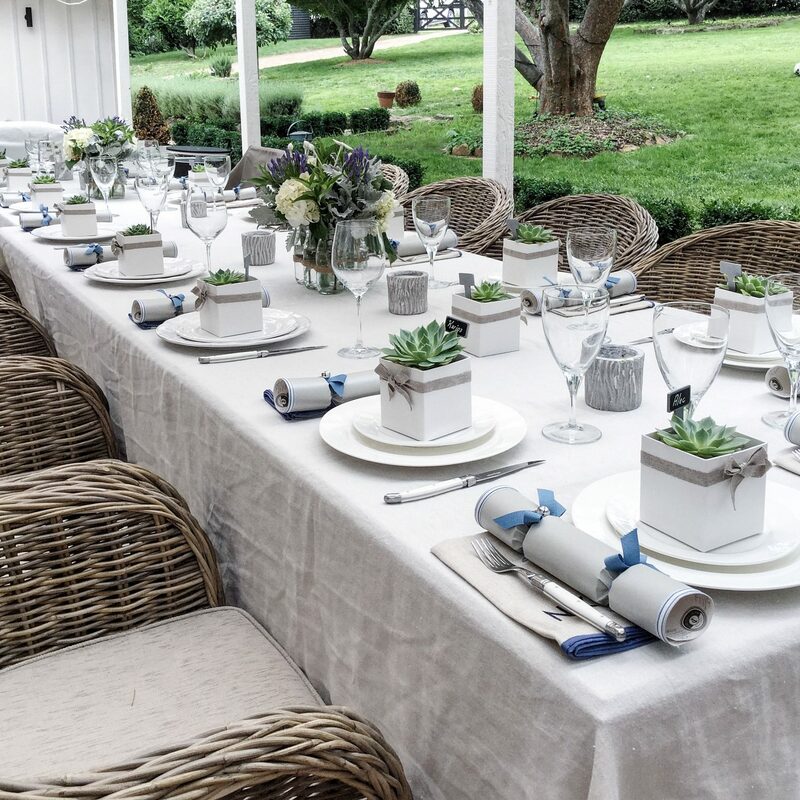 If you’ve gone to the effort of setting a beautiful table, it’s always a shame to have to relocate the flowers once you’ve sat down, and it’s certainly not conducive to inclusive conversation if your flowers block the view of your guests opposite. Don’t have any low vases? Think outside the box! Glass bowls (like the one above with hydrangeas is actually a glass trifle dish! ), empty jars of varying heights, or ceramic pie dishes make great vessels for flowers. Depending on the height and size, you may need a floral foam brick (also referred to as a “floral oasis” – it’s the green brick that absorbs water and florists use to hold flowers in place). Ask your local florist as they should sell these. Create a menu than can be (mostly) prepared in advance. This is one area I have failed in, many, many times, so I speak from experience when I say that nothing kills the buzz more than when you see your host in the kitchen for most of the party. Guests feel like they need to assist or help out, but you also miss all the fun! Think about food that can be prepared in advance and doesn’t need to be stirred or watched (e.g risotto is a no-go!). A cheeseboard is great if you don’t want to do canapés and guests can easily help themselves. For mains, things like homemade pies, tarts, quiches, slow cooked meats or stews, roasts, barbequed food, salads and soups are great. Great dessert options are things like meringues, panacottas, ice creams, tarts, flans, cakes and puddings are ideal. Just remember to do your prep if the food assembly requires extra attention or detail. And make sure you always have your dishwasher empty and ready to go before guests arrive!! Create mood and atmosphere. If it’s daytime, make use of natural light and sunshine. If it’s an evening event, turn off bright overhead lights in place of lamps, candles and twinkle/string lights. You want your guests to be able to see what they’re eating, as well as other guests, but you don’t want them to feel like they’re dining in a hospital. Plus, everyone looks more youthful and prettier in candle light, so your guests will feel good! Set the tone with music. The right music! If you want your guests to end the lunch/dinner dancing, create a playlist that starts with relaxed upbeat tunes over food and then increases to good dancing music towards the end. If you want a more relaxed, laid-back vibe for your party, play music that relaxes your guests like cafe jazz or “chillout” music. Your selection comes down to personal choice, but a party without any music feels empty and awkward. The same goes for the wrong music. Heavy metal, hard rock and thumping dance music probably isn’t the best choice if you’re hosting a sit down lunch or dinner! Some of my personal favourites for creating a lovely vibe are the soundtracks from Nancy Meyers movies Something’s Gotta Give (french compilation), as well as It’s Complicated and The Holiday (both movie scores by legendary film score composer, Hans Zimmer). DJ Dimsa is also a favourite as his remixes and compositions are fantastic background party music or ideal for a lazy Sunday. DJ Dimsa has his own app, although you can also listen to his compilations through Soundcloud. My other personal favourite that I discovered about 15 years ago is Putomayo world music. Putomayo have a huge range of diverse and interesting music, with albums like Cuban Playground, African Rumba, Jazz Cafe, and Vintage Italia, although their French Cafe album has long been a favourite of mine. These are perfect for any lunch or dinner party and I often play their music while cooking and it really puts me in a good mood!! 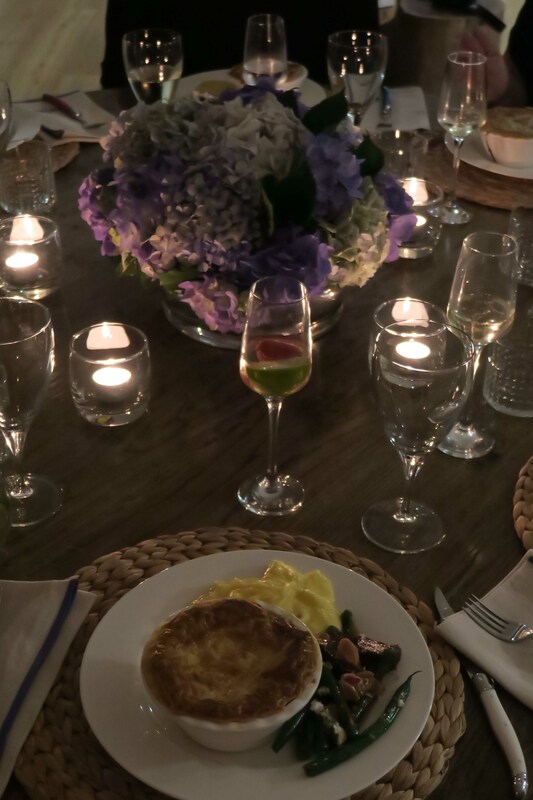 For a girls dinner I hosted earlier this year (pictured above) everyone bought a canape to share, then for mains I did individual chicken, bacon, mushroom & leek pies (filling made earlier that day), with saffron mash (made ahead of time) and buttered beans with toasted almonds. 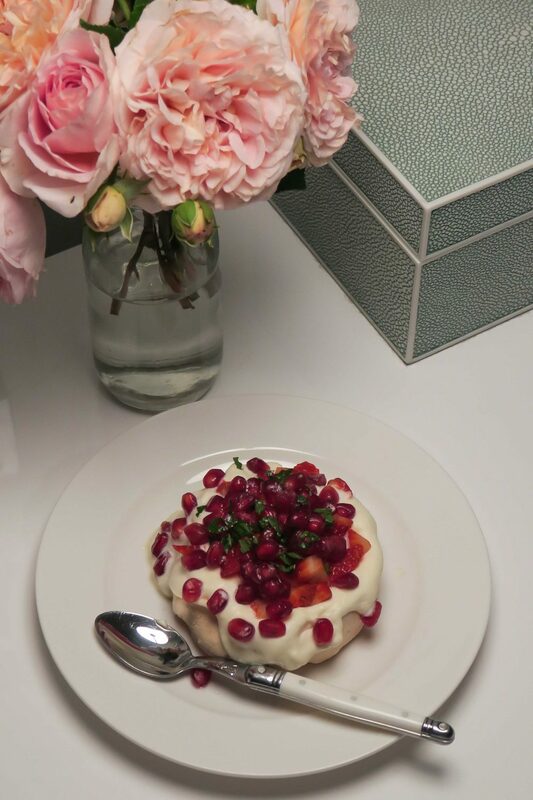 Dessert was mini pomegranate and strawberry pavlovas with fresh mint. This pic below was taken the following night as I had one leftover and had forgotten to get a photo of it. And I may have eaten this one in bed! Of course, all of the above is useless if you don’t enjoy yourself, and always remember that the most important thing is being around people you love, sharing good food, laughing, and having a good time! 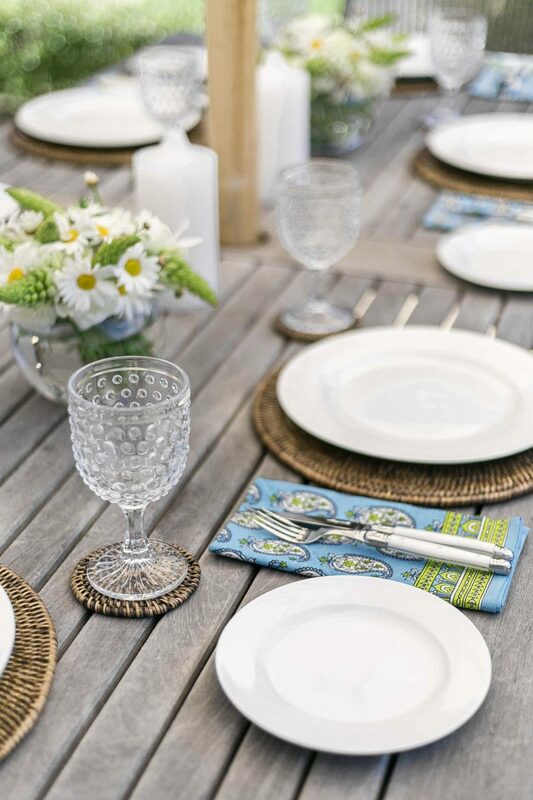 What are your top tips for stress free and easy entertaining? Anything you know that works every time? Maybe a good recipe or playlist? Love to hear from others about what has worked for them! 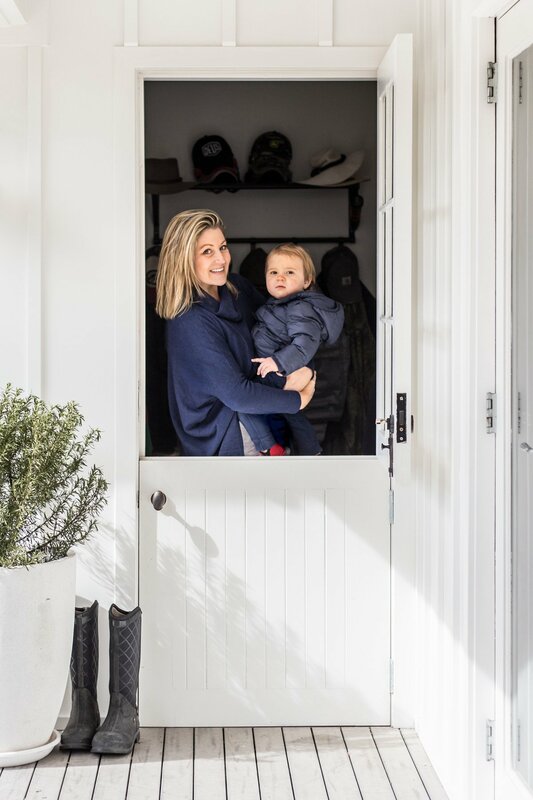 Gorgeous post and great advice. Thank you! I’m becoming converted to cloth napkins and they may have to find their way onto my shopping list although I’m still a tiny bit afraid they’ll linger at the bottom of my ironing pile and I’ll lack the willpower to deal with them. A lovely way to slow down and add some loveliness to life though. All great advice! 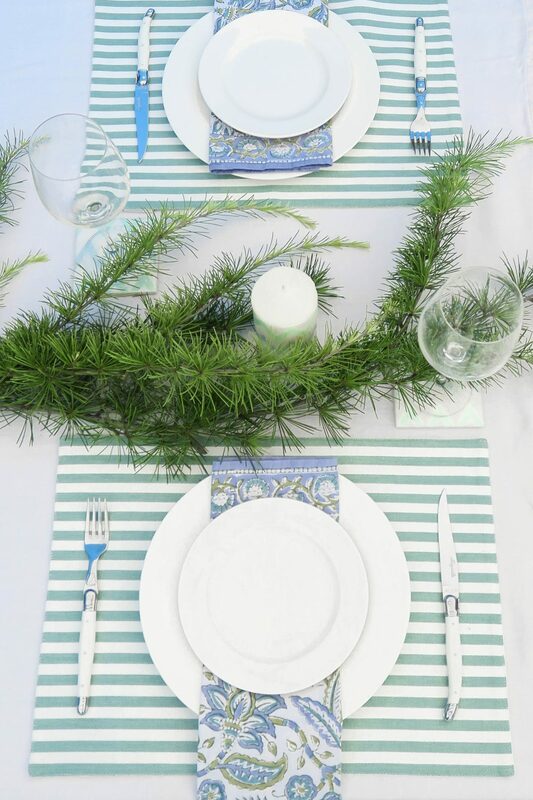 I’m definitely going to start setting my table earlier as I feel that is the one thing I rush (your table settings are gorgeous) and I love your music suggestions!